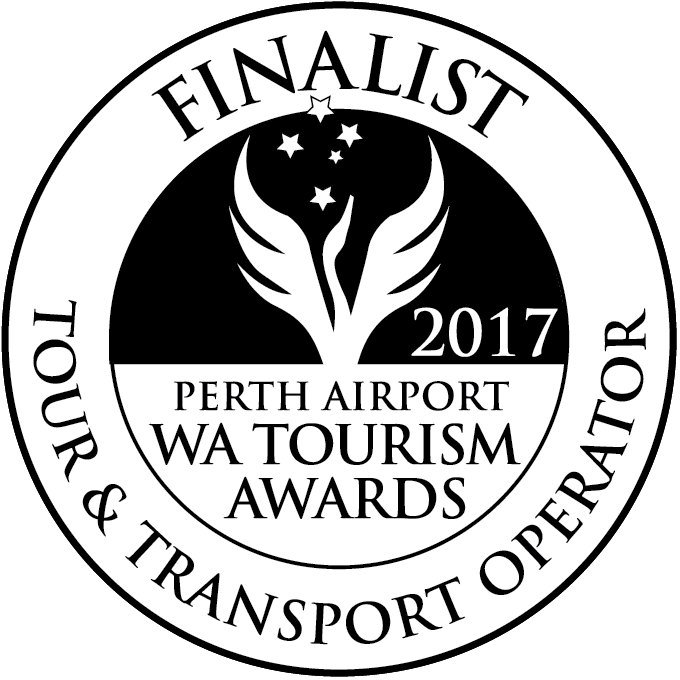 The specialists in private guided luxury 4wd touring. 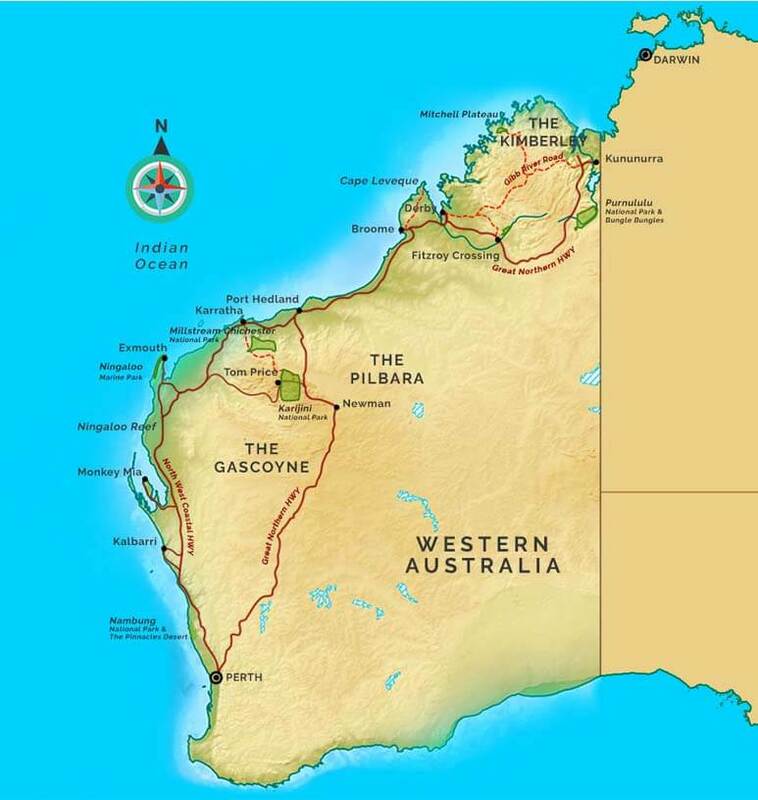 Explore Broome, The Kimberley, Pilbara & West Coast Australia Instyle! Heading off on one of our luxury Kimberley tours from Broome by 4WD is an unforgettable experience. 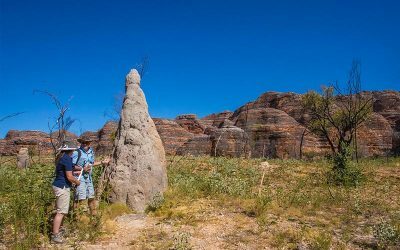 On our mid-length adventures you will visit the region’s most famous natural attractions such as Tunnel Creek, Windjana Gorge and the Bungle Bungles and have the option to take your time to really soak in the natural beauty. Our Aboriginal art tour will also have you experiencing the local culture by visiting galleries and ancient Aboriginal rock art sites. Not only will you enjoy travelling the Kimberley in the comfort of a luxury 4WD, but you will also have the opportunity to take a breathtaking scenic flight over some of the Kimberley’s most stunning landscapes. 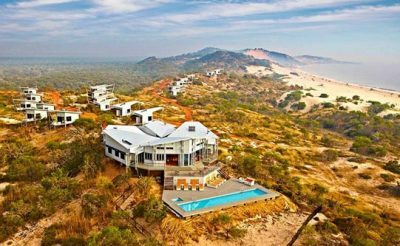 For those looking for the ultimate journey, look no further than our Ultimate Kimberley Experience where you will tour the Kimberley & Broome in unsurpassed luxury & style and a completely personalised itinerary. 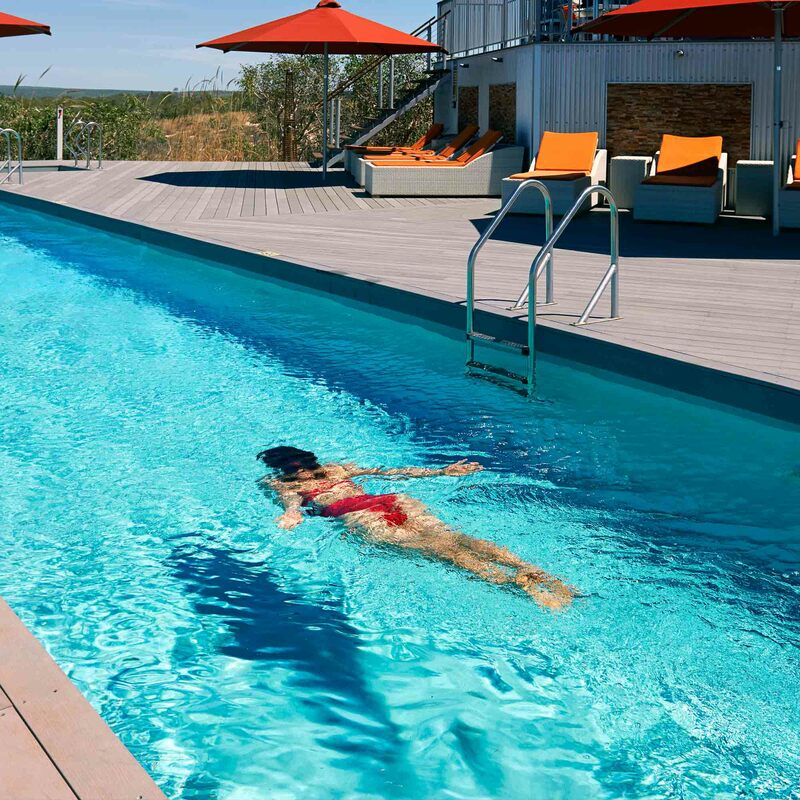 You could be relaxing in remote luxury resorts while enjoying fine dining including the famous Berkeley River Lodge or the Homestead at El Questro Station. 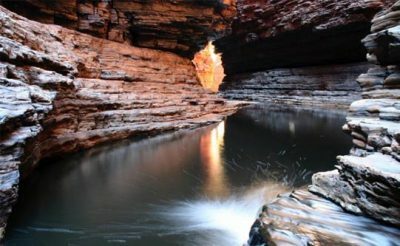 Take your time to explore rugged gorges, and natural attractions including Windjana Gorge, Tunnel Creek, the Bungle Bungles and some of the most ancient wonders of the Kimberley. Enjoy barefoot luxury on secluded white sand beaches. 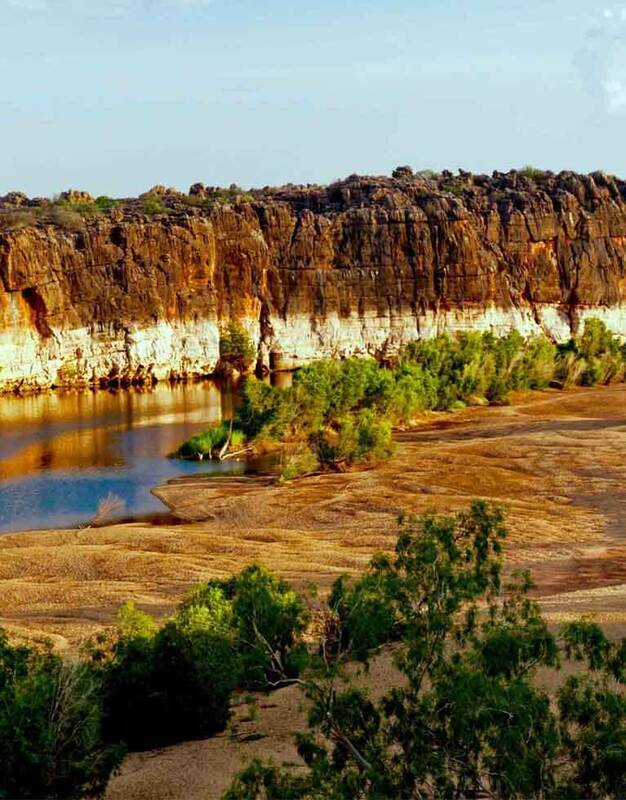 The Ultimate Kimberley Tour also includes scenic coastal flights so you can view this incredible region from another perspective that really brings home the vastness of the Kimberley Region. For the slightly more adventurous, our short Kimberley tours offer a brief glimpse into this spectacular, untouched and remote wilderness. 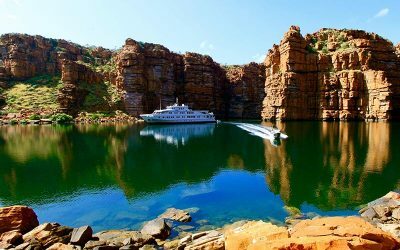 Explore stunning gorges and experience some of the Kimberley’s most amazing natural landscapes such as the Bungle Bungles, Windjana Gorge and the Fitzroy River on one of our incredible luxury Kimberley Tour options. Along the way, enjoy comfortable accommodation during, and learn about the local culture and history while taking in the region’s beautiful landscapes and abundance of wildlife. For something a little different to our Kimberley Tours, but no less beautiful, we offer incredible tours of another part of Western Australia, the Pilbara region. Known as the engine room of Australia, the Pilbara is home to massive iron ore mines and the world’s longest trains and also has some of the world’s most ancient natural landscapes and is sure to provide some truly memorable experiences in it’s own right. Visit Ningaloo – The Ningaloo Marine Park protects the world-famous Ningaloo Reef – Australia’s largest and most accessible fringing reef. Here, you simply step straight off the dazzling white sandy beaches and enter an underwater wonderland of incredible diversity. With the opportunity to swim with the amazing whale shark and enjoy encounters with humpback whales, turtles and dugongs it a must-see for divers, snorkelers and nature-lovers. 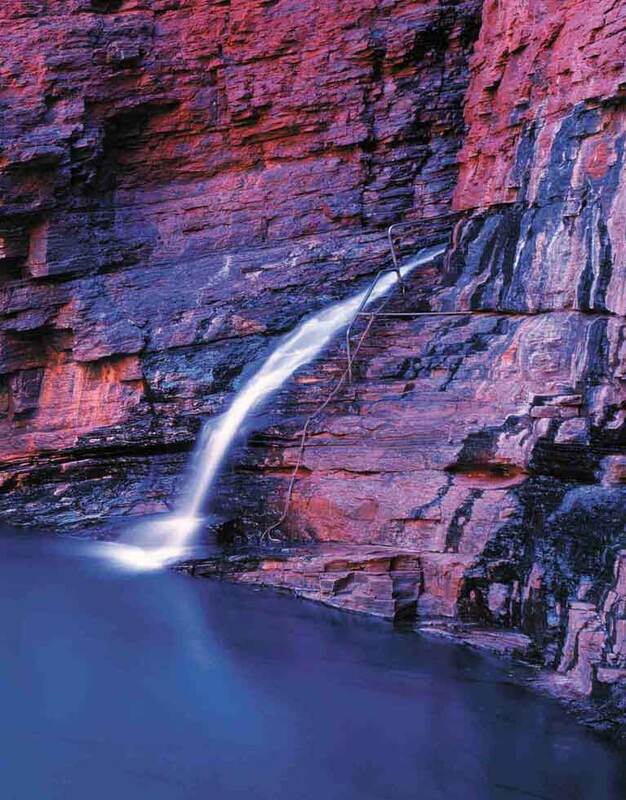 Another must-have experience is Karijini National Park. Deep rocky canyons lead to peaceful plunge pools where you can pass many hours easily. 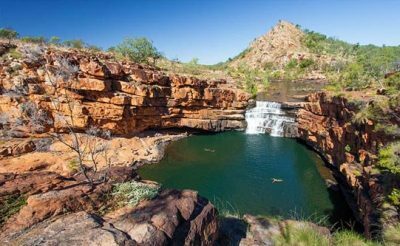 Take in the rich red colours from Oxer and Junction Pool lookouts and stop in at the beautiful Fortescue Falls, a rare year-round waterfall that falls 20 metres over reddy rock. 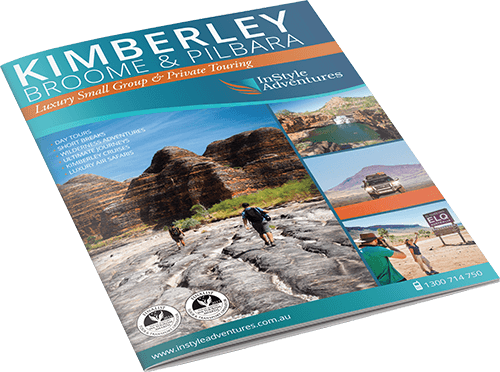 If you are still can’t decide which Kimberley Tour you want to experience, why not talk to our friendly team and we can give you our personal favourites and help you choose the best experience to suit your personal tastes. It is sure to be an adventure to remember! Come on a Broome tour with us and explore the 750-metre-long tunnel that was once used as a hideout in the 1800’s at Tunnel Creek or experience the fascinating Boab Prison Tree near the town of Derby, learning about its dark history as a lock up for aboriginal prisoners. Our tours from Broome will also see you witnessing other local sights, including Chinatown, a Japanese cemetery and a bombing site from WWII. The amazing Staircase to the Moon; another highlight on a Broome tour, is a natural phenomenon created by the reflection of the moon during low tide Finally, don’t forget to visit the famous Cable Beach, where tourists enjoy breathtaking views of the Indian Ocean. 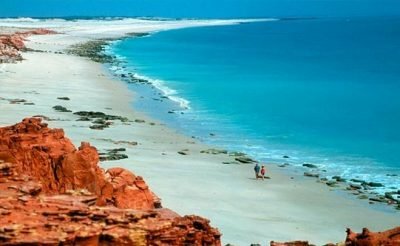 Experiencing a tour from Broome with InStyle Adventures is only the beginning! InStyle Adventures is proud to partner with the Kimberley’s most prestigious cruise and air safari operators to provide you with another way to truly experience a Kimberley Tour. These include True North, Great Escape and HeliSpirit and offer the most comprehensive and luxurious expeditions of the remote region by sea and air. 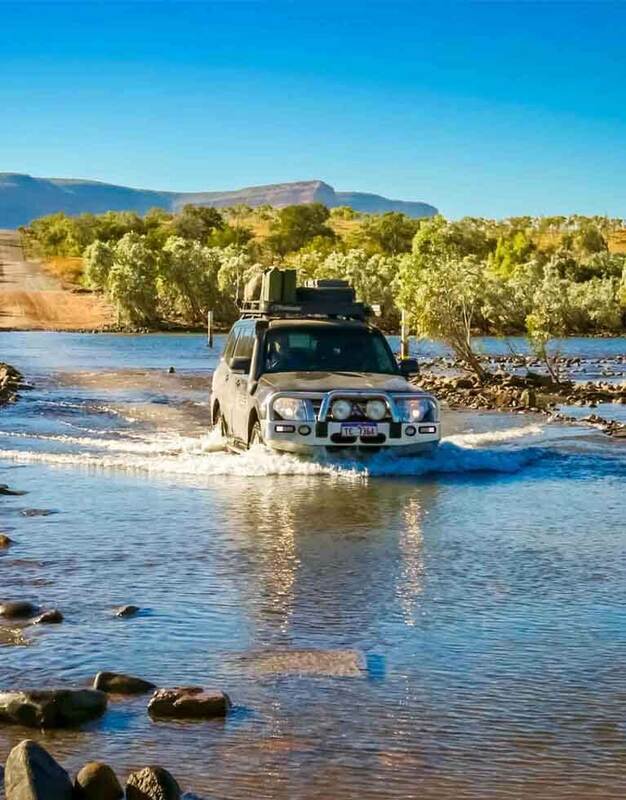 With all our cruises and air safaris we recommend combining with a private guided 4WD tour through the Kimberley interior where you will travel in comfort in our fully equipped vehicle exploring the gorges, traverse outback roads and meet the characters whilst staying in stylish accommodation. This will complete a truly extraordinary journey through this remote and remarkable region. Awesome full day visiting the Dampier Peninsular in a luxury 4 wheel drive, from Broome to Cape Leveque visiting aboriginal communities, pearl farm and beaches. Inspiring & knowledgeable guide in Ed (great sense of humour). Flexibility along the way to stop and take pictures. Ed made the effort to ensure it was ‘our day out’. Would highly recommend. Great morning tea and lunch also provided.